Heads up, Readers! The Rock Star’s Christmas Reunion will be leaving Kindle Unlimited on October 4th and loaded out to other retailers. Hunting John Doe will be leaving Kindle Unlimited on October 8th and loaded out to other retailers. If you are a KU fan, it’s time to download these! 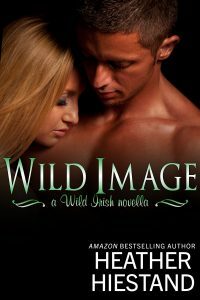 Wild Image is up on retailers across the world as of today. All the other titles that I have control of will be “wide-loaded” over the course of the week. I’m really excited for you Barnes and Noble, Kobo, Apple etc readers out there to have access to many of my contemporary stories for the first time. This entry was posted in Book info and tagged heather hiestand on September 19, 2018 by Heather.